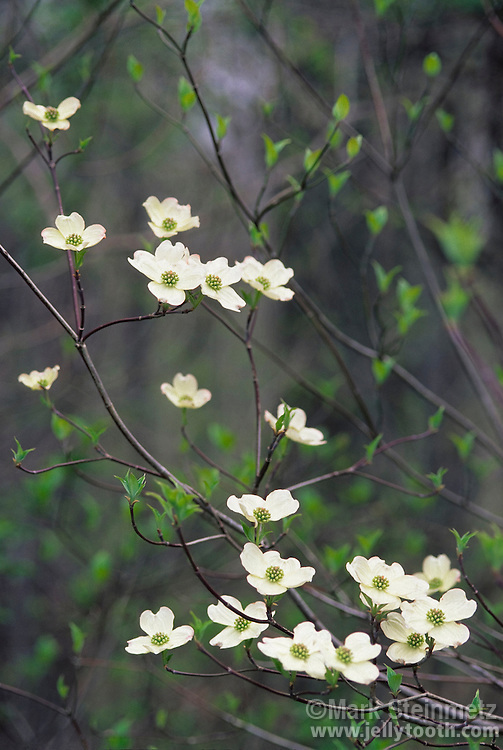 Eastern Flowering Dogwood (Cornus florida). A small, lovely, flowering tree native to eastern North America. Its showy flowers appear in early spring, before leaf-out in hardwood forests and edge habitats. Dogwood is the state flower of North Carolina and Virginia. Southeastern Ohio, USA.